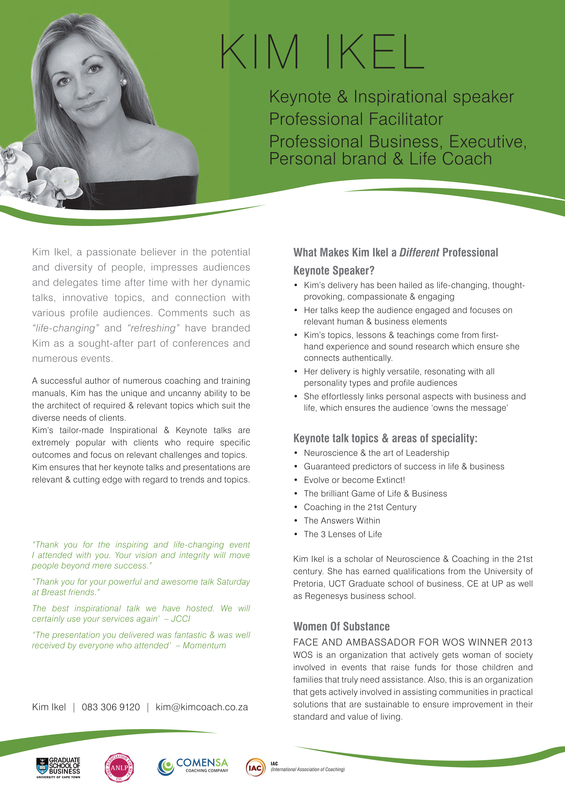 Kim Ikel, a passionate believer in the potential and diversity of people, impresses audiences and delegates time after time with her dynamic talks, innovative topics and connection with various profile audiences. Comments such as "life-changing" and "refreshing" have branded Kim as a sought-after part of conferences and numerous events. 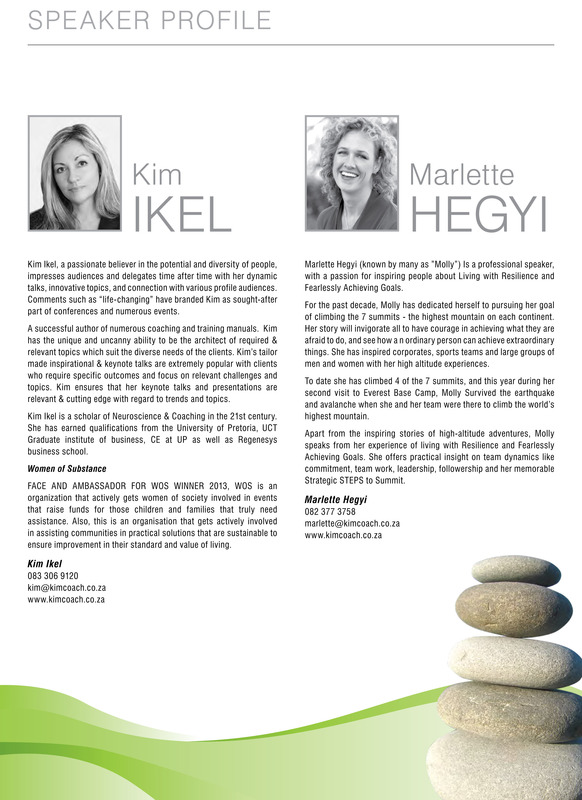 A successful author of numerous coaching and training manuals, Kim has the unique and uncanny ability to be architect of required & relevant topics which suit the diverse needs of clients. 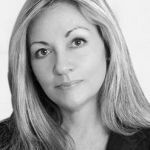 Kim's tailor-made inspirational & Keynote talks are extremely popular with clients who require specific outcomes and focus on relevant challenges and topics. • Evolve or become extinct! 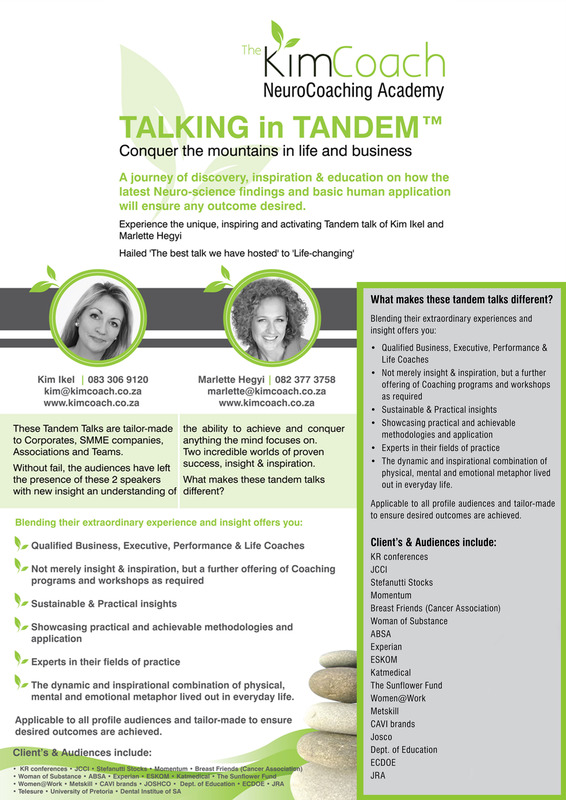 "Life changing" and "The best we have hosted"
"The presentation you delivered was fantastic & was well received by everyone who attended"